The Little Ethiopia Food Tour will take you through historic U Street to 9th street as we visit the heart of the world’s largest Ethiopian community outside of Ethiopia. Your gastronomic experience will chronicle the intricate flavors, textures, and colors in Ethiopian cuisine, while recounting the history of the Ethiopian people. The Little Ethiopia Food Tour was specially designed for the adventurous eater. Some of the restaurants we visit are ‘hole in the wall’ spots, that focus on the quality and authenticity of the food, rather than the particular ambience of the restaurant. All of the restaurants were built and maintained through hard work and perseverance that resonates the pride of a people that have faced adversity yet managed to succeed. We will traverse through the center of Ethiopian life in Washington DC, located in the heart of the historic U Street and Shaw Neighborhoods. 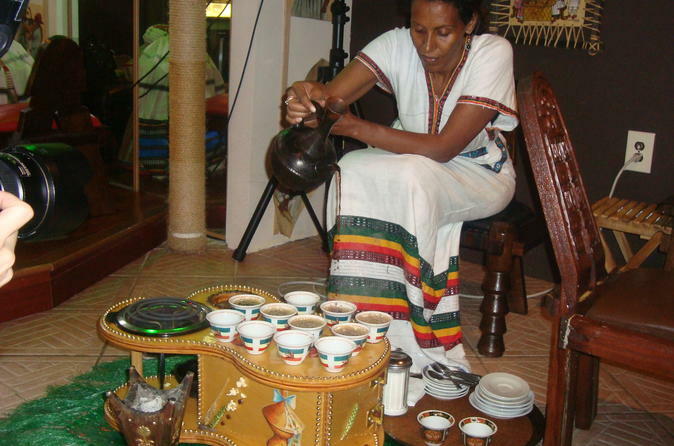 The 19th century neighborhood houses some of the area's very best and most authentic Ethiopian restaurants.